Science and nuts are a tasty combination. And these Pan Roasted Almonds are a testament to the combo. Although almonds are considered a tree nut, they are not actually nuts. The fruit of the almond is a drupe, which consists of an outer hull and a hard shell with a seed. Regardless of what almonds actually are, they are super delicious when toasted. Not only does the Maillard Reaction impart a delicious roasted flavor, but it also makes nuts even more nutritious. Why Roasted Almonds Taste Amazing and are Great for you. Nuts are packed with an abundance of phytochemicals that are an excellent source of nutrients. Studies show that these vitamins and minerals become available when the carriers (nuts) are roasted. In effect, making the nutrients easier to absorb. Roasting is the conduit that makes the best nutrients in nuts bioavailable. In short, roasted nuts are good for you! Is the browning of food that unlocks both flavor and nutrients. First observed by Frenchman Louis-Camille Maillard who wrote about it in 1913. The browning is caused when Amino Acids in food react with sugars at temperatures around 300° F/154°C. This reaction unlocks hundreds of new compounds which bring amazing new flavors to food. 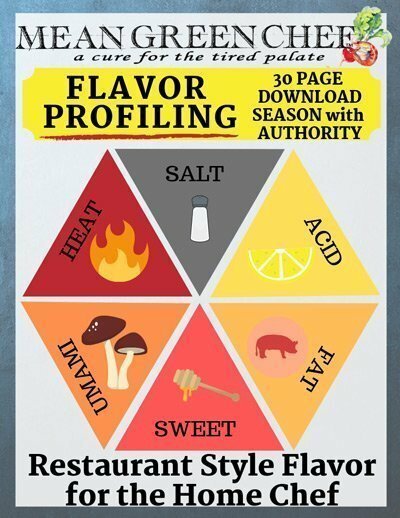 A distinctive set of flavor compounds are formed during the Maillard Reaction. This browning can be seen in a whole range of foods like nuts, breads, roasted coffee, vegetables, steaks, and meats. These almonds add depth and crunch to many dishes. Snack on them when they are warm out of the pan or store them in a jar in the fridge to top your favorite dishes. Scattered over creamy soups, asparagus, carrot, tomato or broccoli. Bake them into a batch of muffins, or sprinkle over almond pastry cookies. Sprinkled over salads, from radicchio and citrus to romaine and butter lettuce. Topping for fresh yogurt and berries. Add to grains, rice, Farro, and Quinoa. Add a little crunch to your Avocado toast. 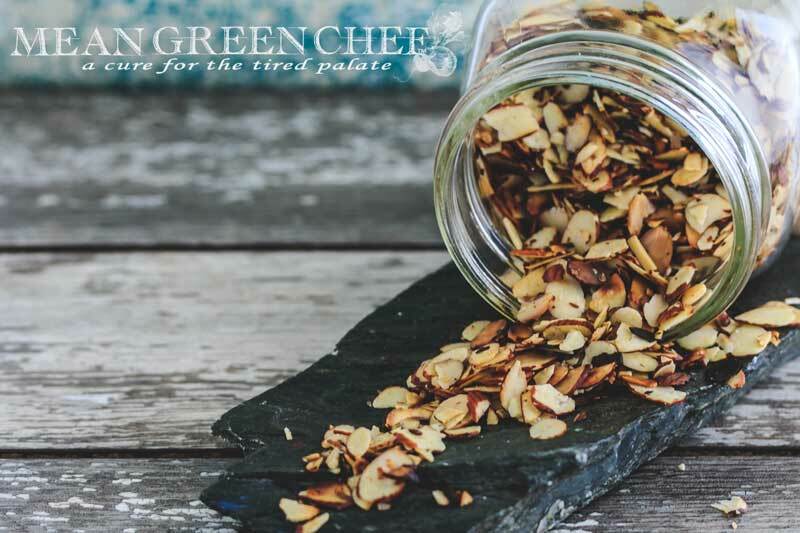 These pan roasted almonds taste amazing and add depth and crunch to many dishes. Snack on them when they are warm out of the pan or store them in a jar in the fridge to top your favorite dishes. Heat a large cast-iron or heavy skillet over medium-high heat. Add olive oil and heat for 30 seconds, tilting the pan so the oil coats the bottom. Add the almonds and spread along the bottom. Leave for 1 to 2 minutes until they start to brown and become fragrant. Use a spatula to stir the almonds around the pan. Sprinkle the salt over the nuts and stir again. Continue cooking the almonds, stirring every 15 seconds or so, until they are nicely brown and have a deeply toasted flavor, about 5 minutes time in total. Transfer to a piece of parchment paper until they’ve cooled to room temperature. Roasted almonds will keep up to a year in an airtight container in the refrigerator or freezer. If you have any of the amazing almonds left after snacking on them, try them on our melt in your mouth Almond Pastry Cookies!